Totterdown is home to some of Bristol’s most iconic terraced streets, appropriately named, perched on steep hillsides high above Temple Meads Station. Many of Totterdown’s first residents worked on the railways. 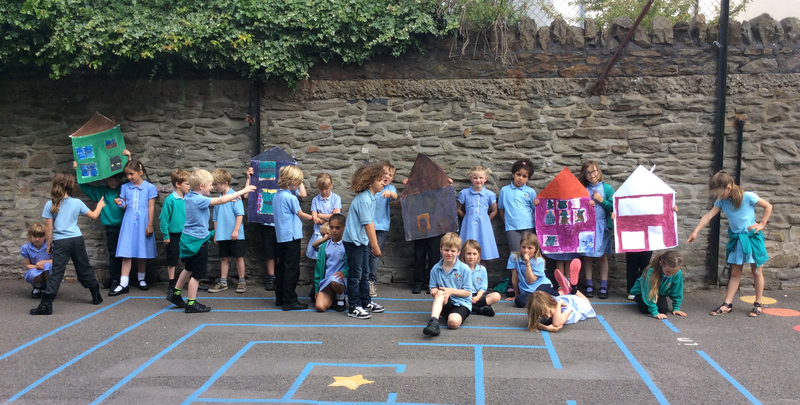 A Heritage Schools project involved Local Learning working with Hillcrest Primary School, climbing the hills to find out more about the streets and houses and the people who lived in them at the end of the Victorian period. Year 2 students identified patterns indicating the different styles of the builders and produced their own house designs.